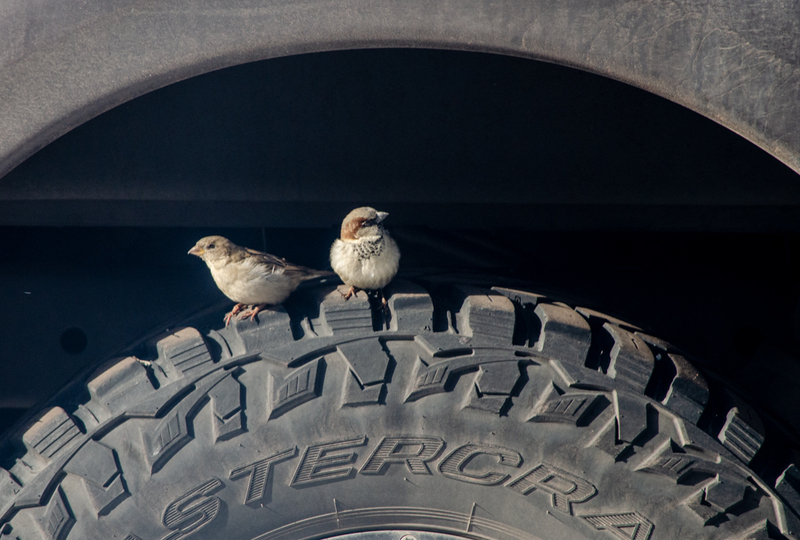 The little sparrows love to sit on the wheel of this big truck. Maybe they feel safe there. So cute – love the photo!